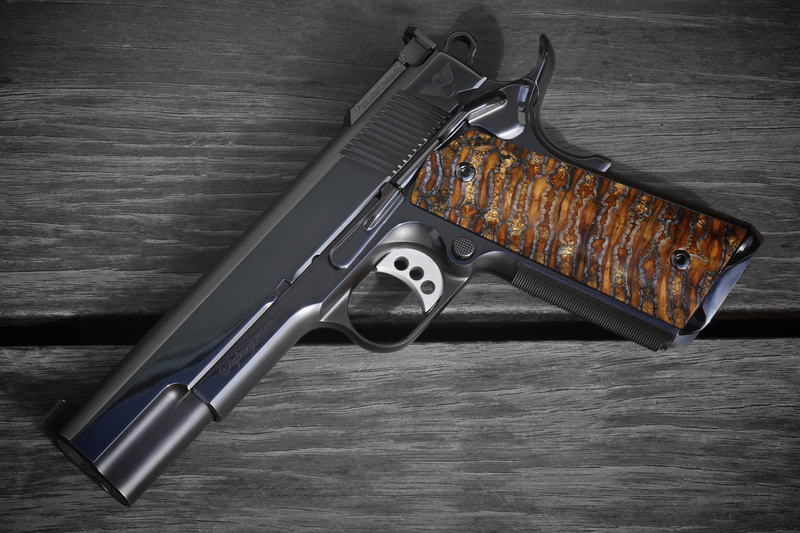 where you can fully customize any set of 1911 blanks we have available. The system allows you to select a set of blanks and specify the features you need/want. You can save your work to the shopping cart or convert it to an order. The blanks will not be removed from our inventory until the order is placed. If you are unfamiliar with our ordering and payment process for custom grips, please click here to read a brief explanation before continuing. If you are a returning customer, visit the Products page to continue. We have also recently started selling finished grips. They can be found on the Finished Grips For Sale page under "Products".